Thinking of launching a small costume or crafting business? Already going, but need some motivation? Cathy Hay and Lauren Stowell, two successful costume industry entrepreneurs, share their experiences, advice, and business tips for getting started, becoming established, and managing growth and success. Don't miss this opportunity to ask the hard questions and get direct answers. This year our 4th annual "biz class" will include a moderator and be in a Q & A guided format. All are welcome! Congratulations! You finished your new 18th century gown! ...now what? Looking like you've stepped out of a portrait is one of the most satisfying feelings a costumer can have, but having a beautiful gown is only the first step. It's the accessories that take a gown from great to glorious. This lecture will discuss the importance of accessories in completing any and all 18th-century looks. This lecture ties in with many of the principles and projects in our upcoming The American Duchess Guide to 18th Century Dressmaking . Abby will cover caps, kerchiefs, tuckers, ruffles, and more. We all know that social media is a powerful tool for promoting your costuming business, but some platforms are harder to crack than others. Lauren will share her "Rules for Instagramming Like a Boss," with dos and don'ts to making a strong, focused, successful Instagram account for your brand. Limited - Advanced - 3 hrs. Did you know that nearly all 18th century gowns can be built on one basic bodice? 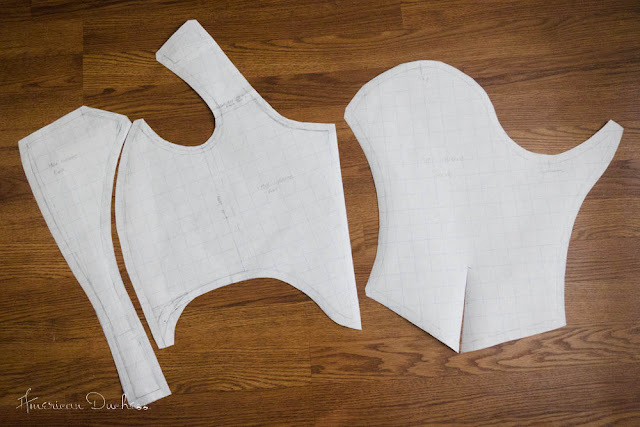 In this limited class, students will drape their own unique 18th century bodice pattern, complete with sleeves, with demonstration and guidance from Abby Cox and Lauren Stowell. Participants will leave the class with a perfectly-fitted, ready-to-use 18th century bodice block. 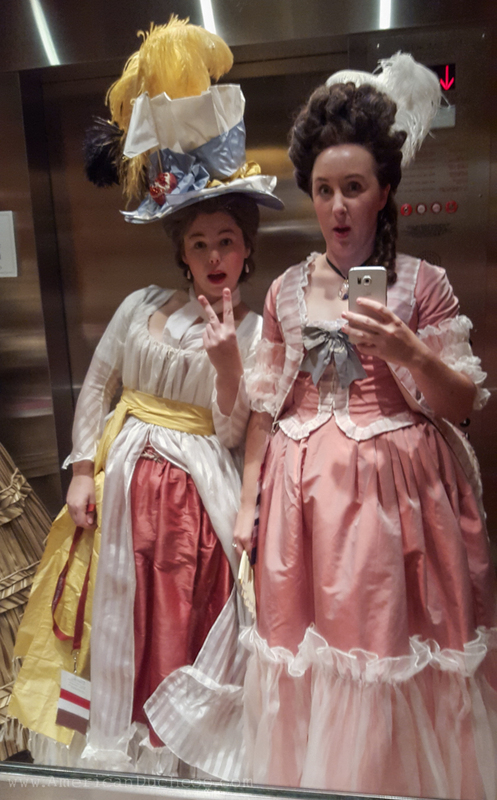 Students will need to be in 18th century stays and minimum one petticoat. Students will also need 3 yards of muslin, scissors, pins, and marking tools. 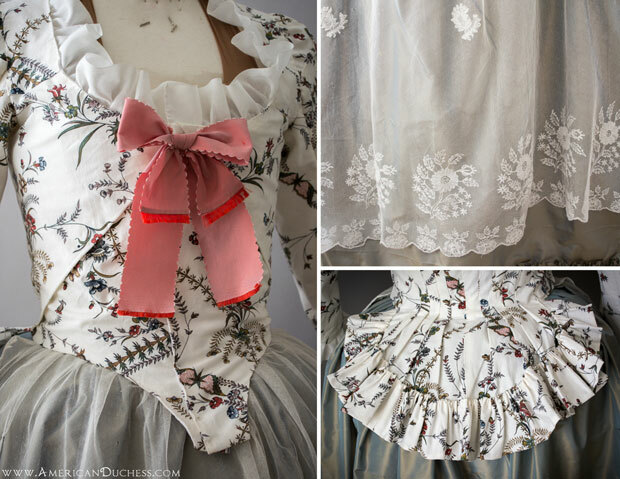 This class ties in with the upcoming The American Duchess Guide to 18th Century Dressmaking and is an excellent way to jump start your own patterns for a sacque, Italian gown, English gown, and more. GAH! If I only had the funds to attend. May your students be in awe of you and may everyone in the room for all of your classes have fun including the instructors! If you make it I will come :D Or England, or Norway or anywhere else in Europe. These classes sound amazing, and I wish I could attend. Im not sure im advanced enough for draping, but that's going on my list:) sooooo excited to be attending for the first time this year!! FYI - I recently took (another) draping class (modern clothes) and the instructor has us bring woven 1" gingham check to do the draping with (instead of plain muslin). I'd never seen that before -- it had the advantage of minding the straight of the grain and giving an approximation of distances by counting the squares! Your classes sound wonderful!! I'm excited for you! Ah, yes, we've heard of gingham used for draping. It does help with understanding and seeing the straight versus the bias, always important. I wasn't able to take this class this year. Please offer it again and if you do, I will be there.